"US aims to crush Iran oil sector in next wave of sanctions"
With the threat of sanctions looking increasingly likely, the media is doing the math and coming to precisely the same conclusion McMonigle came to in October 2017: Sanctions could remove about 1 million barrels per day from the market. That US sanctions would remove about 1 million b/d of Iranian crude exports from the market (most analysts and financial media folks scoffed at this number and had a much lower range 200-500 b/d). This could be a watershed moment for oil prices. Iran has added 1 million barrels of oil per day since sanctions were lifted as part of the Iran nuclear deal negotiated during the Obama administration. 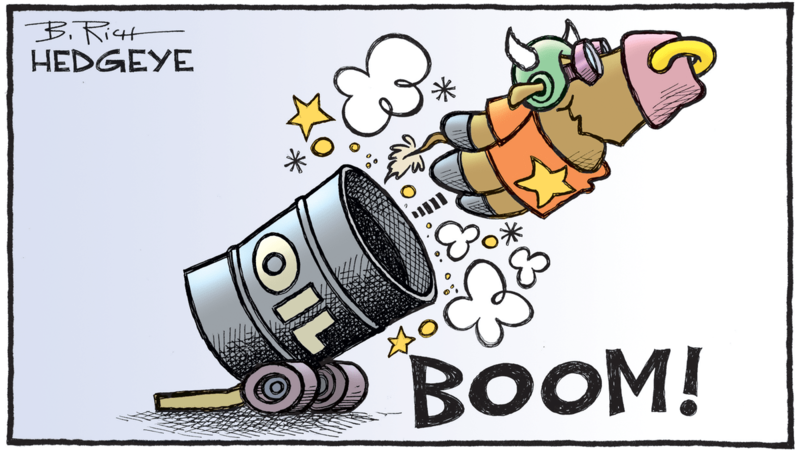 If the U.S. imposes further sanctions on Iran, “I think you’re going to see oil prices rise considerably,” warns McMonigle. Since this video aired in October 2017, oil prices are up +37.7%. Watch McMonigle in the video below (from that October 2017 institutional conference call) explain his rationale. His insights have been spot on.